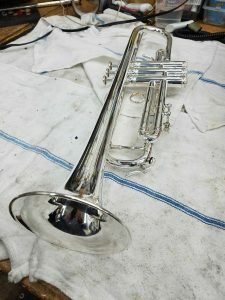 I purchased my Kanstul trumpet from Paige’s while in high school, ~1999. It was passed around and used by several family members and I got it back around 2012. My young kids loved playing on it so we left it with some other musical instruments in the play room. Over the next several years it took quite a beating and ended up completely unplayable with huge dents and wrinkles in the bell. The valves weren’t working correctly and the mouthpiece was stuck. I brought it to the pro’s at Paige’s thinking it would be impossible to save my baby. I came back a week later and I was completely blown away! The horn sounds brand new and the craftsmanship put into it was astounding. The valves are flawless, the mouthpiece removed, and all of the dents and imperfections have vanished! I truly can’t believe the level of detail that they’ve put into this horn. 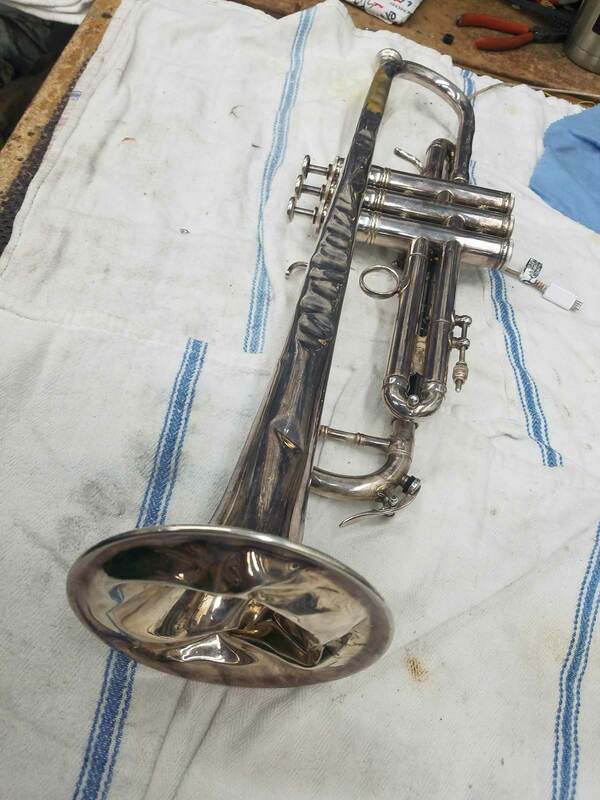 To the Paige’s repair team: thank you for saving my horn and giving it new life! Below are a couple of pictures of the before and after once brass technician Harry Carter performed his magic on this particular instrument. 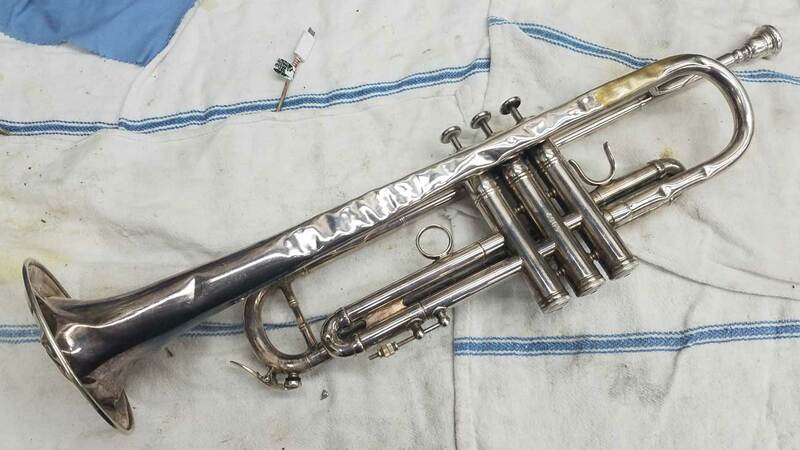 We’re always up to a challenge here at Paige’s Music Repair, and in many circumstances are able to bring an instrument back to top playing condition, regardless of how badly it may have been damaged. So no matter how big or how small, you can always trust the pros at Paige’s Music Repair to deliver high quality repairs at a competitive price! Valve Guards, and Hair Ties, and BERPS… OH MY! I had many students who took their instruments to Paige's and I love the attitude of the repair people when they approach the customer at the repair desk. They are always kind and honest in their evaluations of the repairs that need to be done. Instruments are repaired and returned to the customer quickly and a loaner instrument is made available until the repairs have been completed. I highly recommend Paige's for any needs one may have....rental, purchase of an instrument or additional assessories for an instrument. Every employee at Paige's has a pleasant attitude in dealing with the customers.